The comedian is calling for Slough council to allow a building to house rough sleepers as a special wedding present for Prince Harry & Meghan Markle. Russell Brand has launched a petition to help re-house the homeless in and around Slough ahead of the Royal Wedding. The comedian has called his fans to give Prince Harry and Meghan Markle a wedding present with a twist, after it was reported that Council leader Simon Dudley called on police to remove rough sleepers from the Windsor area ahead of the big day on 19 May. Watch his video above where he explains more about the petition and the work of homeless charity SHOC (Slough Homeless Our Concern). 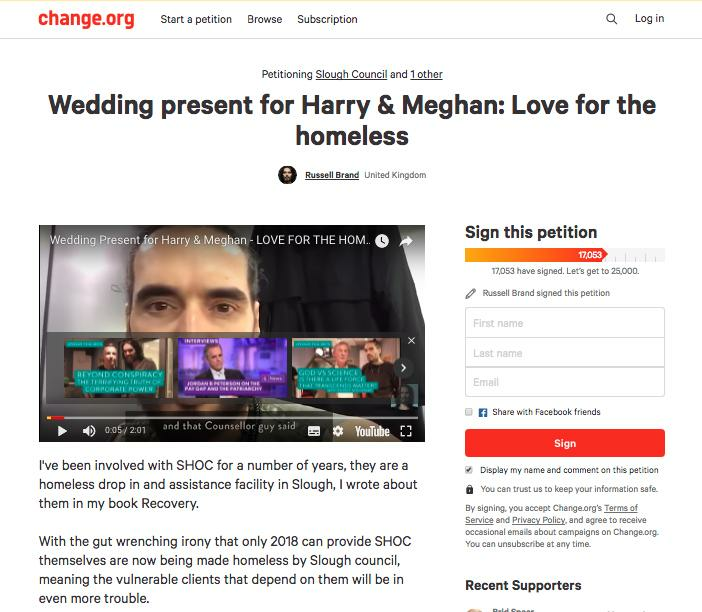 His Change.org petition, entitled "Wedding present for Harry & Meghan: Love for the homeless," reads: "Many of the rough sleepers swept out of Windsor as result of Councillor Simon Dudley's proposed economic cleanse in preparation of Prince Harry's wedding to Meghan Markle will need SHOC and other local facilities to care for them. 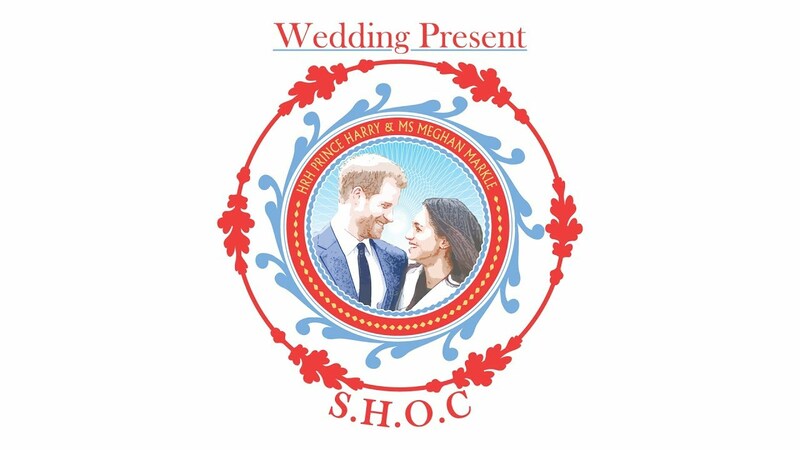 As a wedding present for Harry and Meghan and as a rebuke to the low frequency conduct of Councillor Dudley and any who would further victimise the vulnerable, we are asking that Slough Council agree to a "change of use" for a building in the town that will enable SHOC to have a new home." It continues: "It will cost them nothing but the ink in the pen to commit to a 'change of use' for this building - you know how easy it is to do that - councils have to do it every time they turn a local shop into a supermarket chain express store. If you think this would be a great gift for the Royal Couple, a beautiful way to celebrate their love SIGN THIS PETITION." At the time of writing this article, the comedian has collected a whopping 17,053 signatures so far.